I am a bit behind as I have been away in northern Alberta attending a memorial service for my wife's aunt. She is the last of her previous generation and lived a good life well into her 90s. We also stopped to visit my son and his family on the return trip. Time to catchup one week. 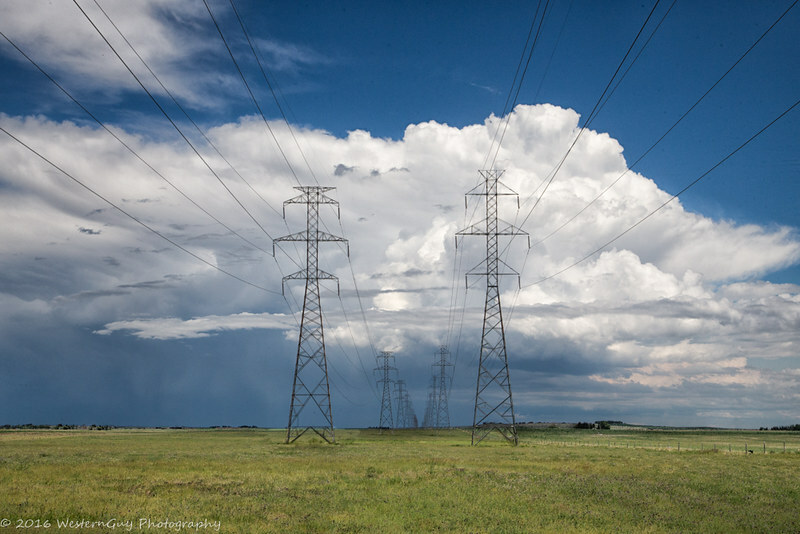 Week 18, Prairie storm and transmission towers - the power of nature and the power of man. Before we left on our trip, I went out one afternoon to the east of the City as the conditions for thunder storms developed over the prairies and found this image of the power lines with a major developing thunder storm in the distance. I thought it was interesting with the juxtaposition of the power of nature with the power of man. This image was shot with my 1D X and a 24-105mm lens. Processing was done in Lightroom. TomCofer wrote: Sorry for your family loss. Thanks Tom. Her Aunt had lived a good life. Yes, I thought it was an interesting shot. I find I use these power lines a lot as a background. They are easy to get at being only about a 20 minute drive from the house. Thanks Martha, clouds are one of my favourite subjects. We get some absolutely incredible storm clouds during the summer and being on the Prairies, you can see them for miles. I will probably post more as the summer wears on. 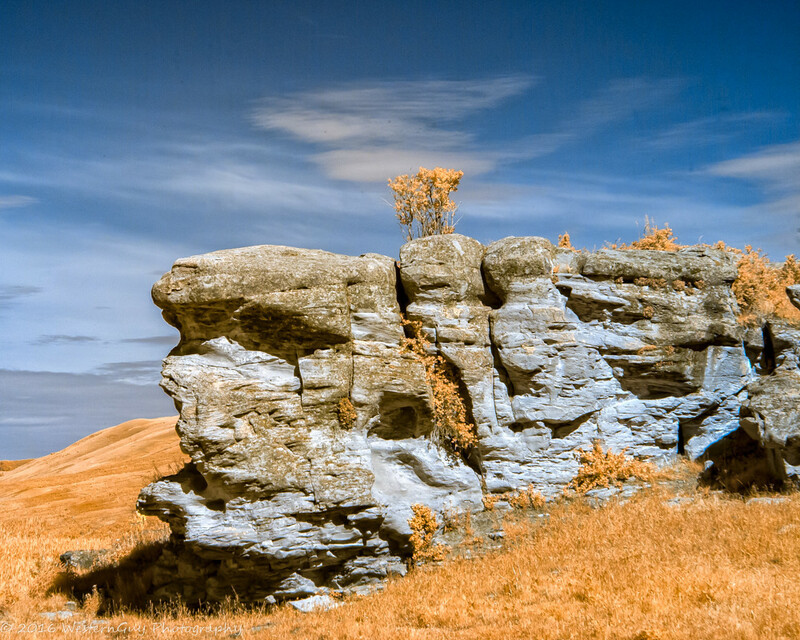 False colour infrared (590nm) image of a small rock outcrop on the edge of a farmer's field. What was intriguing about this subject, for me, was its isolation - all by itself on the edge of a hillside - and the "bush" growing out of the top of it. Shot with my Canon 5D III with a 590nm IR conversion and a 24-105mm L IS Lens. Processing was in Lightroom and Photoshop CC 2015.5, and Nik's Color Efex 4. Wow, very nice WG. Eye catching. TomCofer wrote: Wow, very nice WG. Eye catching. 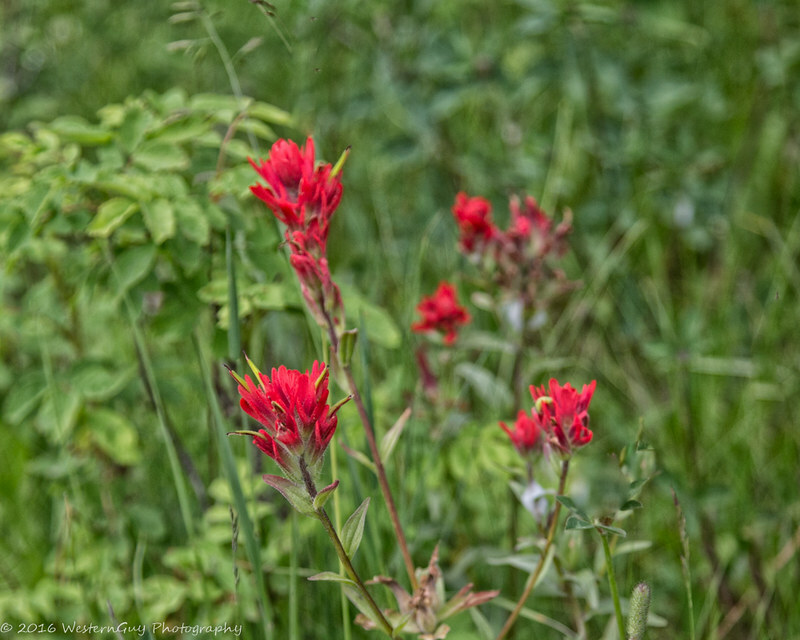 Week 20, Indian Paint Brushes. This was shot with my Canon 1D X and a 24-105mm lens. Post-processing was done in Lightroom and Nik's Color Efex 4. I keep telling myself that I need to dust off my cameras and start shooting again. I turned one of the bedrooms in my apartment into a small studio of sorts, so it may happen soon. I just have to catch one of my neighbor's that are up and about during my strange off-hours.